Idealpos has an iPhone, iPad and/or iPod touch app called 'Stock Manage' which is available to download on the App Store, simply click the App Store badge below. The app is designed to offer faster functionality with managing stock in retail/hospitality environments when used with an Idealpos installation. 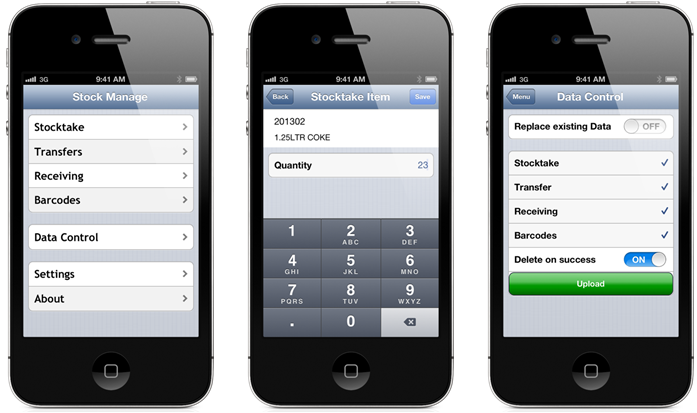 Stock Manage will allow you to perform a Stocktake, Transfer Items, Receive Stock and Link Items to Barcodes. Stock Manage will link to a POSServer on your network, quickly transferring the data from your Idealpos POS system to your device in a few seconds. You don’t even need to plug it in to transfer the data back to Idealpos. You can use the app on as many devices as you wish, easily installing it on your staff’s devices if you want.